Quakertown Alive! is celebrating our 20th anniversary in 2019. Our bi-annual Pumpkin Ball will reflect that with a Raoring 20s theme. 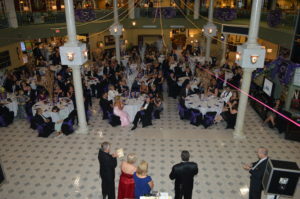 Raymour & Flanigan Quakertown has graciously agreed to host the Pumpkin Ball again this year in their beautiful atrium area. Ticketholders will be able to dance the night way to the sounds of Mike Greer and Company, enjoy great company, nibble on delicious food, knowing that proceeds benefit projects in downtown Quakertown. 110 S. West End Blvd.